The track premiered on Beats 1 on Thursday. Jorja Smith has released a new single entitled "Let Me Down." 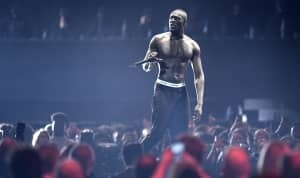 The track, which features Stormzy, premiered on Beats 1 on Thursday. "I was in the studio with Ed, [Thomas] and he was playing the chords on the piano and I was singing and Stormzy kind of drifted in and out, that’s kind of what he does on the verse," Smith told Zane Lowe about the recording process. "He literally floated onto the track and I feel like that's how it sounds as well." Revisit Jorja Smith's GEN F profile here and Stormzy's cover story from the FADER's Diaspora Issue here. Listen to the new single below.